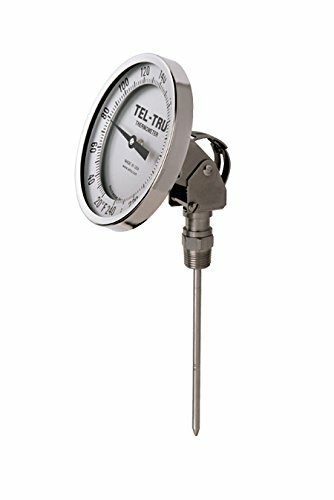 The Model AA375R is the best 3" dial back connected & adjustable angle thermometer for general and heavy duty applications. The unique stem groove to identify the min. immersion for accurate reading. Glass window that is fully gasketed. If you have any questions about this product by Tel-Tru, contact us by completing and submitting the form below. If you are looking for a specif part number, please include it with your message.